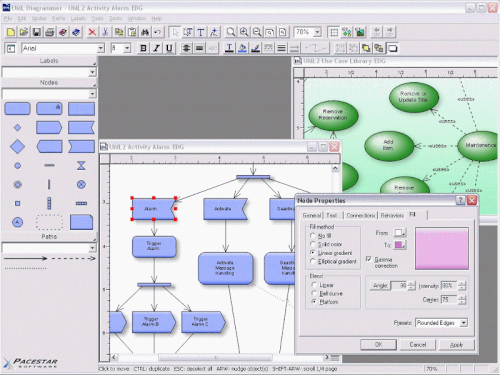 UML diagram software - create sequence diagrams, use case diagrams, and more with UML Diagrammer. 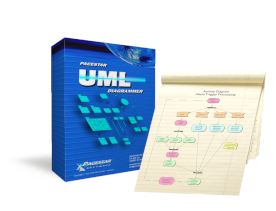 Pacestar UML Diagrammer helps you generate UML 2.0 diagrams quickly and easily. Develop, document, and communicate your designs in a systematic yet flexible AND commonly understood notation. Create activity diagrams, class and object diagrams, communication diagrams, use case diagrams, sequence diagrams, state charts, package diagrams, and component diagrams, deployment diagrams, composite structure diagrams, interaction overview diagrams, and even traditional flowcharts. Packed with aids to make UML diagramming easier. "It's been a long time since I encountered a program that works so well and is so intuitive!" 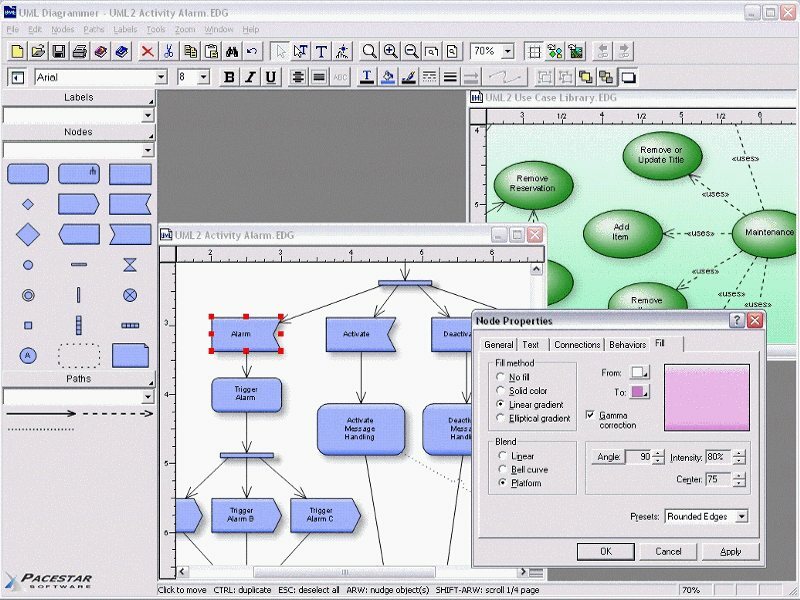 "It works exactly the way I always thought diagramming software should work." "The ultimate tool for the system designer who wants to benefit from UML without paying the prohibitive costs and suffering the traumatic impact of adopting a complex "life-cycle engineering" system. Why turn over your existing processes and methodologies to a rigid, limiting, and complex "total" solution when, for a small fraction of the price, you can add the true value of Unified Modeling Language incrementally to your existing processes."